Tony was born in Augusta, Sicily, and is currently resident in Livorno. He began studying the violin aged 7, switching to trombone a few years later. In 2000, he graduated from the V.Bellini music institute in Catania. Interested in jazz from an early age, Tony attended various seminars led by artists of international fame such as Giorgio Gaslini, Paolo Fresu, Tony Oxley and Franco D’Andrea. In 1999, he attended the Siena Jazz summer school, and won a scholarship to attend the following year. During the same year he became part of the Mediterranean Jazz Orchestra, a big band from Catania, in which he played alongside and was directed by Gianni Basso, George Gruntz, Bob Mintzer, Maria Schneider and Flavio Boltro. In the summer of 2000 Tony returned to Siena Jazz and won a further scholarship to represent Siena Jazz, and Italy, at the 12th International Meeting of I.A.S.J (International Associations of Schools of Jazz) at the Berklee College of Music in Boston in 2001. Following this, he played with the Roy Paci & Aretuska group for three years, touring and playing at high-profile festivals in Italy and abroad. Between 2002 and 2003 he played and recorded with various groups of light and alternative music. Marco Colonna’s La Rivoluzione dal Basso (Bass Revolution), Stefano Tesei’s Test Quintet, Bobo Rondelli, Federico Marchesano’s The Inner Room, Pasquale Innarella’s Jazz Quintet, Mario Raja Big Bang, the Slide Family featuring Gary Valente, Far Fly Music Community, Colours Jazz Orchestra, Nada, Curva Minore Sicilian Music Crew, and Giovanni Guidi’s The Zippy Code. Giovanni Guidi, Dan Kinzelman, Mauro Ottolini, Cristina Zavalloni, Ettore Fioravanti, Roberto Bellatalla and others. He was a founding member of the Franco Ferguson musical collective, a group active in improvisational research involved in performance and recording, incorporating musicians from all over Italy. The collective is based in Rome. 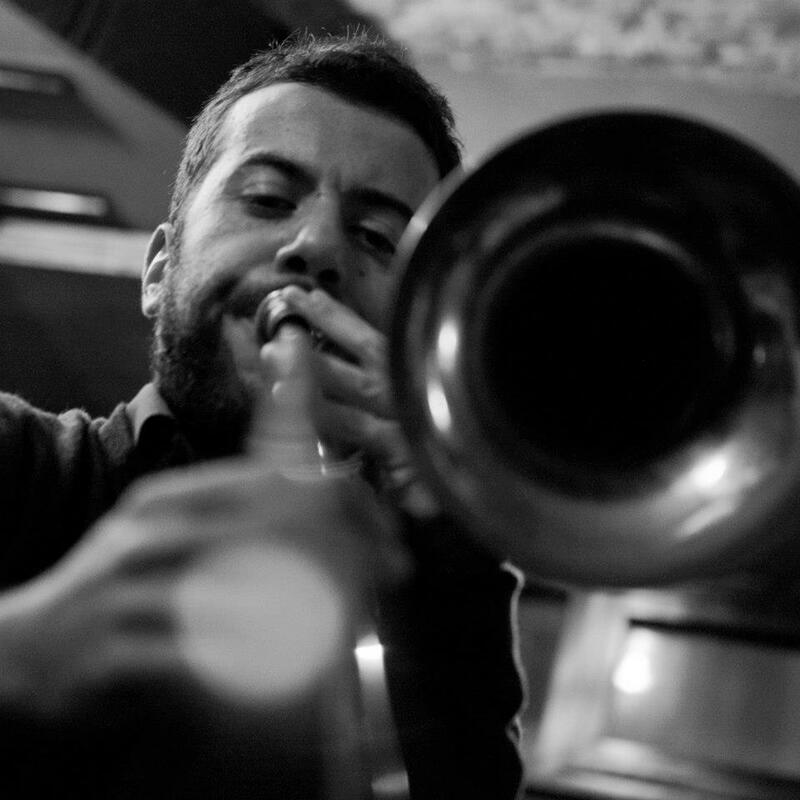 Tony regularly works with various nationally active jazz groups such as Silvia Bolognesi’s “Open Combo”, the Livorno-based band “Orchestrino” and the “Garbuggino-Ventriglia” Theatre Group, amongst others. He directs the Tony Cattano Octect, the duo “Vocione” with the singer Marta Raviglia, and the Naca Quartet with Emmanuele Parrini on Violin, Matteo Anelli on bass and Andrea Melani on drums. He teaches Jazz at the F.E. Dall’Abaco Conservatory in Verona, and at Siena Jazz University.